The term originated from the Old West. When a peddler came to a new town and needed a room for the night, but didn’t have any money, the hotel keeper would take the hub or nut from their wagon wheel as collateral. If enough was sold, the nut was covered. Dan is working in NYC. He has a new apartment in the Crown Heights section of Brooklyn, which we will be camping in later this month. He is currently holding down two jobs to cover his nut. His old job is the Macy’s Christmas windows one, which progress well, but has recently begun to be supplanted by a more lucrative one. This one is a union job. Dan has been working as a carpenter, constructing sets for two new TV series. The first is a Showtime mini-series The Loudest Voice in the Room, a Roger Ailes bio-pic, starring Russell Crowe. The other show is NBC’s The Village, an upcoming TV series about modern life in a Brooklyn apartment building. Dan is not exactly hobnobbing with the likes of Crowe, although he did see Forest Whitaker. Something to do with hammering and the use of loud power tools not exactly being conducive to video recording. At NBC the workshop is situated below the sound stages and each large power tool comes with a light overhead that indicates when it can and cannot be used. I joked about waiting for explosions or gunfire. 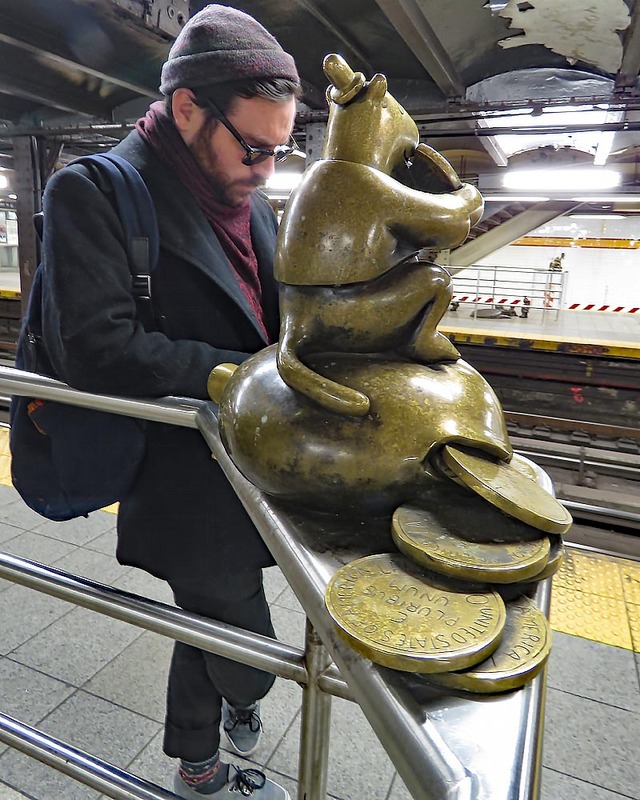 He doesn’t like the early calls or the long commute to Queens, but as an adjunct union member, he finds the pay to be quite nice. This entry was posted in Art, Family, Photography by RegenAxe. Bookmark the permalink.